Just received this email from Susan Whitcomb of The Academies -- and it's time sensitive (today only). Invest in one of The Academies' certification training programs and get a second one of equal or lesser valueabsolutely free. You can read my blog post about the G3 program here (including the 54-minute preview video). These programs are highly acclaimed within the industry, so if you've been thinking of pursuing training and/or certification, this is a fabulous offer. But it is only available today (Aug. 30, 2013), so jump on it right away! 2. Email katy@theacademies.com within 24 hours of your purchase and let her know your choice for your second program (must be of equal or lesser value). 3. Enjoy learning, growing, and prospering. Remember, this is a 24-hour offering ONLY. No exceptions. Register before midnight (Eastern time zone) Friday, August 30th. Susan says: With the generosity of this offer, you can understand when we say that it cannot be combined with any other offers, nor is the offer applicable to a recent registration. This special offer DOES include Barbara Safani's "Social Networking Career Strategist" training for Facebook, Jason Alba's "Online Professional Networking Strategist" training for LinkedIn, and Chandlee Bryan's "Microblogging Career Strategist" training on Twitter in the job search. Remember, be sure to mention me (Bridget Brooks, or Resume Writers' Digest). I'll get a 10% referral fee (that's my affiliate disclosure! ), and you'll get a one-year FREE membership in BeAResumeWriter.com, including lots of resources you can use to promote your new certification and use it to get new clients! Resume writer Robin Schlinger received this email from "The Preptel Team," yesterday, although no mention of this is on their website yet. We appreciate all your support during these past few years while we created and updated our service. We founded this company and solution to help candidates. Over $4 billion dollars are being spent by corporations to help filter and rank candidates. We believed analogous software was needed to create an equal playing field. We set out to ensure our software worked, and we enlisted industry analysts to test it. Most importantly, we developed relationships with leading resume writers and career coaches from associations, such as Career Directors International and the National Resume Writers Association. In collaboration with this special people, we made many improvements to the system. Unfortunately, the cost model and the revenue models never lined up. After running 3 years in the red, we are disappointed to inform you that we have had to shut down the service. We apologize for the inconvenience and again thank you for your support. Please download your résumés to your computer by Friday August 30, 2013 when the service will no longer be available. For details about how to download your résumés, please see this help article: <https://preptel.uservoice.com/knowledgebase/articles/240197-how-do-i-download-my-r%C3%A9sum%C3%A9s-> How to download my résumés? This is very disappointing, as the Preptel service was one of the best sources for resume writers and jobseekers to test client resumes to see how they would perform in Applicant Tracking Systems. It's not surprising, however, because I was never sure what the Preptel revenue model was. When they first launched, the service was paid (I believe there was a free trial period), but in recommending it to colleagues and clients in the November 2012 "Jobseeker's Guide to Applicant Tracking Systems," it was a free service. I'll have to do some research and see if there are any competitive services to recommend to check resumes for ATS submission. If you know of any, please leave the information in the Comments below. Ask Bridget: Should I Charge Less If I Use a Questionnaire? "You mentioned during your "Ask Better Questions; Write Better Resumes" teleseminar that you offer a more affordable price if clients are willing to just answer questions by email through a questionnaire. I have been debating on what price structure I should use, since my method of information gathering is mainly through email as well. For a mid-level professional, I've seen resume writers charge over $500, which I assume includes the phone consultation. What is the appropriate price range, in your opinion, for the email method of information gathering -- without phone discussions?" I use questionnaires primarily with my clients -- it's just my preferred workstyle. But I ask prospective clients how they're most comfortable providing their information, and if they want a phone consultation, then I just quote them a higher price than I would if they were agreeable to working via questionnaire. So, if I was going to quote them $299 for the resume, I'd quote $375, for example (the extra $76 would be for a 60-to-75-minute phone consultation). Usually, I don't tell the client the two different prices, because I've already asked the question about how they want to do it, so I'm giving them a quote that reflects that. I have, though, on occasion, given them an "Option A" or "Option B" quote -- i.e., "The cost to develop your new resume package will be $299 if we conduct your information gathering via email questionnaire or $375 if you would prefer we schedule a phone consultation to gather your information. But you're coming at this from the wrong direction. There will be some clients who are unwilling to pay $50 for a resume even if that included a 3-hour phone consultation ... and there are some clients who would gladly pay $2000 for a resume even if you only collected information via questionnaire. That's not the issue. There are clients out there in all price ranges. How you choose to work -- and what you charge -- are entirely up to you! The first resource I want to share with you is the "Determining Your Resume Writing Rates Worksheet." This is a step-by-step approach to help you determine the right rates to charge. A valuable certification (ACRW, federal job search certification, etc.) - note: a CPRW or CRW certification may command more than an uncertified writer, but generally does not command premium pricing. Do you have a question for "Ask Bridget?" Send a message on the Resume Writers' Digest Facebook page! Recently on several of the resume writing association E-Lists, there have been numerous resume writers talking about being in a business drought. Several colleagues have said that July and August have been their slowest months in years. I have a solution for resume writers who want to dip into a well of prospects and clients and generate a flood of new projects and referrals: Like author Harvey Mackey says, "Dig Your Well Before You're Thirsty" … and create an email list. I've been talking about the value of an email list for years now. It's a must-have for resume writers who want to sell information products, recruit participants to online programs (teleseminars and webinars), and sign clients up for fixed-term membership programs. And you don't need a huge list — even 100 subscribers can generate a trickle of revenue … and that will just continue to grow as your list grows. According to Wikipedia.org, an email list is "... a special usage of email that allows for widespread distribution of information to many Internet users..." Pay attention to the words "special usage" because that is important. The software can be an online system such as AWeber or Constant Contact — two very inexpensive, easy-to-use options. The laws you need to know about are primarily the CAN-SPAM Act. And the "something to share" is best known as the sign-up incentive — something you give to your site visitor in exchange for his or her email address and permission to contact them. But this blog post is about why you need an email list. The definition also gives you a clue into that aspect of an email list. It answers the why by telling you that an email list is for "...widespread distribution of information to many... ". This means that it's a super simple way to get out your information to the masses. Your information being the information you want to give your target audience about your business products and services. So the short answer to why you need an email list is obvious: In order to distribute information about your business to many people. It's a simple way to do it with the right software. Online software enables you to set up simple sign up forms on your website, blog, or even Facebook page so that people can enter their email address, giving you permission to send them information about your business products and services. The software immediately sends a thank you email, with confirmation process so that you know for sure you really have permission from the person. This is called "double opt-in." This is required because it ensures that the right person really did enter the right email address and really did mean to receive the information. This process prevents you of being accused of sending out spam to people, and ensures that you get people on your list who really want to be on it. After all, you really only want to market to the right people. The software also enables the person who signed up to easily unsubscribe with a simple click. This unsubscribe information appears automatically in every email that you send from the system. (This is a requirement of the CAN-SPAM Act.) This makes the entire process super efficient. In some cases the software will also clear out bounced email addresses and you can manually clean out email addresses which have not opened email for a specific amount of time. 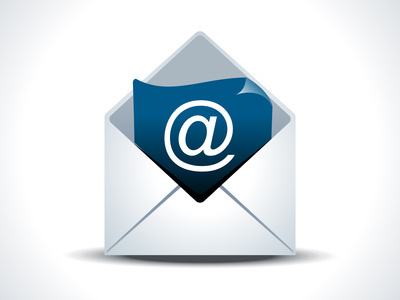 The software makes the entire process simple, giving you no excuse not to have an email list. With a properly set up email list you will be able to regularly market your products and services to an audience who has given you permission, who wants what you have to offer, and who already trusts and likes you. You want this because most people need to see your offers at least 7 times before they decide to purchase. By having them on your email list, you increase your opportunity to make a sale many times over. You may have heard people say, "the money is in the list." Let me tell you, the money IS in the list. They're not joking. No matter how big social media becomes, having that direct email address route is always going to be better. It's tried, true, and well tested. Every business now asks for your email address because they want to use one of the best marketing formats ever invented. Email. If you treat your subscribers right, and give them the regular information they asked for you'll create a lot of success via your email list. Gmail, What Are You Doing?? The problem is, Gmail decides FOR YOU which category emails are routed into. Unfortunately for you (and me! ), emails from me (ones that will come from Resume Writers' Digest and/or BeAResumeWriter) will automatically be put into the "Promotions" tab ... because Gmail doesn't realize that the majority of the emails I'm sending you aren't "promotional" at all -- but solid content. Invitations to free, value-packed trainings. Links to take surveys (that I share the results from freely with the careers industry community). Free special reports to help you in your resume writing business, and with your clients. But you may not see them, unless you take swift action! Check your Promotions tab at the top of your Gmail account. Choose an email from me (they come from Resume Writers' Digest or Bridget Brooks or BeAResumeWriter.com) and drag and drop it to your Primary inbox tab. A message will pop up asking if you want to do this for all future emails from me. Click YES and you'll be assured you won't miss anything. Click on the "Inbox" tab and unselect all categories except "Primary." Unfortunately, if you don't take action, you'll only be able to find my emails in your "Promotion" tab. Which is fine ... if you check that regularly. Otherwise, you'll miss out on valuable free teleseminars, articles, and resources to help you grow your resume writing business! This Huffington Post article includes a video showing you the changes.